Mammoths and mastodons are two different species of extinct proboscidean (herbivorous land mammals), both of which were hunted by humans during the Pleistocene, and both of which share a common end. Both of the megafauna—which means their bodies were larger than 100 pounds (45 kilograms)—died out at the end of the Ice Age, about 10,000 years ago, as part of the great megafaunal extinction. Mammoths are members of the Elephantidae family, including the woolly mammoth and the Columbian mammoth. Mastodons are members of the Mammutidae family, restricted to North America and only distantly related to mammoths. Mammoths thrived in grasslands; mastodons were forest dwellers. Both were hunted by their predators, human beings, and they both died out at the end of the Ice Age, part of the megafaunal extinction. Mammoths and mastodons were hunted by people, and numerous archaeological sites have been found around the world where the animals were killed and/or butchered. Mammoths and mastodons were exploited for meat, hide, bones, and sinew for food and other purposes, including bone and ivory tools, clothing, and house construction. Mammoths (Mammuthus primigenius or wooly mammoth) were a species of ancient extinct elephant, members of the Elephantidae family, which today includes modern elephants (Elephas and Loxodonta). Modern elephants are long-lived, with a complicated social structure; they use tools and demonstrate a wide range of complex learning skills and behavior. At this point, we still don't know whether the wooly mammoth (or its close relative the Columbian mammoth) shared those characteristics. 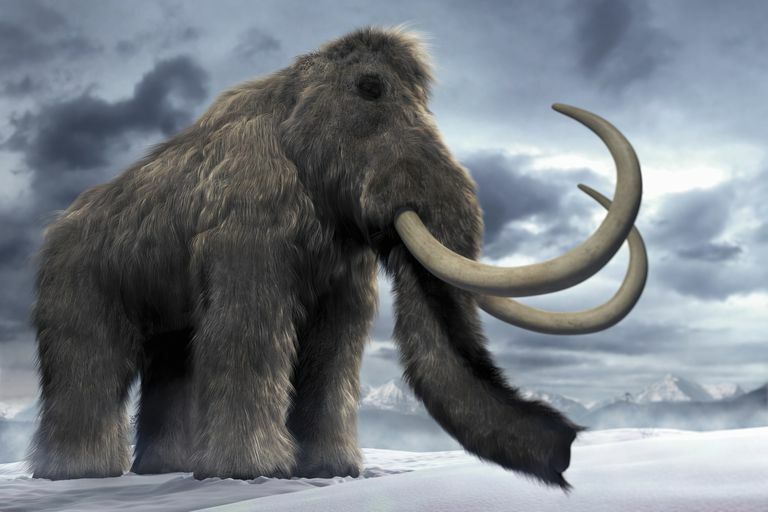 Mammoth adults were about 10 feet (3 meters) tall at the shoulder, with long tusks and a coat of long reddish or yellowish hair—which is why you'll sometimes see them described as wooly (or woolly) mammoths. Their remains are found throughout the northern hemisphere, becoming widespread in northeast Asia from 400,000 years ago. They reached Europe by the late Marine Isotope Stage (MIS) 7 or beginning of MIS 6 (200,000–160,000 years ago), and northern North America during the Late Pleistocene. When they arrived in North America, their cousin Mammuthus columbi (the Columbian mammoth) was dominant, and both are found together at some sites. Wooly mammoth remains are found within an area of some 33 million square kilometers, living everywhere except where there was inland glacier ice, high mountain chains, deserts and semi-deserts, year-round open water, continental shelf regions, or the replacement of tundra-steppe by extended grasslands. Mastodons (Mammut americanum), on the other hand, were also ancient, enormous elephants, but they belong to the family Mammutidae and are only distantly related to the wooly mammoth. Mastodons were slightly smaller than mammoths, between 6–10 ft (1.8–3 m) tall at the shoulder), had no hair, and were restricted to the North America continent. Mastodons are one of the most common species of fossil mammal found, particularly mastodon teeth, and the remains of this late Plio-Pleistocene proboscidean are found across North America. Mammut americanum was primarily a forest-dwelling browser during the late Cenozoic of North America, feasting primarily on woody elements and fruit. They occupied dense coniferous forests of spruce (Picea) and pine (Pinus), and stable isotope analysis has shown they had a focused feeding strategy equivalent to C3 browsers. Mastodons fed on woody vegetation and kept to a different ecological niche than its contemporaries, the Columbian mammoth found in the cool steppes and grasslands in the western half of the continent, and the gomphothere, a mixed feeder who resided in tropical and subtropical environments. Analysis of mastodon dung from the Page-Ladson site in Florida (12,000 bp) indicates that they also ate hazelnut, wild squash (seeds and the bitter rind), and Osage oranges. The possible role of mastodons in the domestication of squash is discussed elsewhere. Fisher, Daniel C. "Paleobiology of Pleistocene Proboscideans." 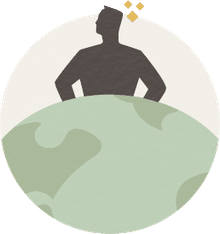 Annual Review of Earth and Planetary Sciences 46.1 (2018): 229–60. Print. Grayson, Donald K., and David J. Meltzer. "Revisiting Paleoindian Exploitation of Extinct North American Mammals." Journal of Archaeological Science 56 (2015): 177–93. Print. Haynes, C. Vance, Todd A. Surovell, and Gregory W. L. Hodgins. "The U.P. Mammoth Site, Carbon County, Wyoming, USA: More Questions Than Answers." Geoarchaeology 28.2 (2013): 99–111. Print. Haynes, Gary, and Janis Klimowicz. "A Preliminary Review of Bone and Teeth Abnormalities Seen in Recent Loxodonta and Extinct Mammuthus and Mammut, and Suggested Implications." Quaternary International 379 (2015): 135–46. Print. Henrikson, L. Suzann, et al. "Folsom Mammoth Hunters? The Terminal Pleistocene Assemblage from Owl Cave (10bv30), Wasden Site, Idaho." American Antiquity 82.3 (2017): 574–92. Print. Kahlke, Ralf-Dietrich. "The Maximum Geographic Extension of Late Pleistocene Mammuthus Primigenius (Proboscidea, Mammalia) and Its Limiting Factors." Quaternary International 379 (2015): 147–54. Print. Kharlamova, Anastasia, et al. "Preserved Brain of the Woolly Mammoth (Mammuthus Primigenius (Blumenbach 1799)) from the Yakutian Permafrost." Quaternary International 406, Part B (2016): 86–93. Print. Plotnikov, V. V., et al. "Overview and Preliminary Analysis of the New Finds of Woolly Mammoth (Mammuthus Primigenius Blumenbach, 1799) in the Yana-Indigirka Lowland, Yakutia, Russia." Quaternary International 406, Part B (2016): 70–85. Print. Roca, Alfred L., et al. "Elephant Natural History: A Genomic Perspective." Annual Review of Animal Biosciences 3.1 (2015): 139–67. Print. How Much Do You Really Know About Mastodons?